Because one of the main reasons to pack a bag and head into the wilderness is to get away from civilization, the last thing backpackers are usually thinking about is what technology to bring along with them. Of course, some things are necessary – a compass or a GPS, a flashlight, a water bottle or canteen, etc. But, if you are new to backpacking, then it’s important to understand that just like iPods get outdated, old school equipment that backpackers use when they hike can be outdated, too. Advancements in technology have helped to solve problems people face out in the wild, some of which have been life-saving. Check out some of these gadgets to help you stay connected while you disconnect. There’s many different types of water filtration systems out there, but some of them can be a bit of a hassle to use, or bothersome to carry. The Sawyer Squeeze Water Filtration System is lightweight and useful, comes in different sizes, and is top-rated among experienced backpackers. Try the Avalanche Survival Backpack. The small backpack can deploy airbags in case of an avalanche, keeping you from getting drowned by the snow. Like a car that saves people with an air bag, this small tool has helped people survive this horrific natural disaster many times. Perfect for people who like to hike snowy mountains often, the backpack is light, comfortable, and even fashionable, as it comes in many different colors. Only true backpackers will need to cook their own food along the way, and the Biolite Campstove with Portable Grill is a necessity if you plan on heating up some sausage, veggies, or juicy steaks during your journey. This grill is so tiny, you might have to look extra hard at it to even figure out what it is. Even if you don’t think you’ll need it, it might be fun to try out anyway-without taking up too much room or weight in your bag. When it starts to get dark out, a flashlight is the first thing we reach for. However, sometimes we need both our hands available to get the job done, and holding a flashlight can be a pain. Now, you don’t have to worry, because the folks at LuminAID found the solution to this problem, helping backpackers everywhere pitch a tent after it gets dark. The Solar-powered Inflatable Flashlight is a tool that blows up easily with a very strong, solar-powered light, so you don’t have to worry about batteries or bulky lanterns anymore. The last thing you want when you’re hiking is to be weighed down by things in your pocket. Many people like to bring a classic Swiss Army knife along on their hikes throughout the backcountry, but there’s a better concept out there. The Credit Card Sized Folding Knife is exactly how it sounds-a knife that folds into something that is shaped just like a credit card. It can slip right into your wallet, and you can whip it out whenever you need it. Despite its size, the knife is very sharp, sturdy, and safe, and can be used just like a normal one. While some of us probably assume that we won’t have cell phone service during a hike, it is natural for backpackers to bring it along anyway, just in case. However, usually when most people need their phones the most, is the time when they can’t reach anyone. The goTenna is the solution to all those missing service bars. This smart antenna will guarantee that you get cell phone service no matter where you are, so you can hike worry-free. Some of us backpackers would rather just say ‘screw it’ when it comes to pitching a tent and sleep on the ground instead. 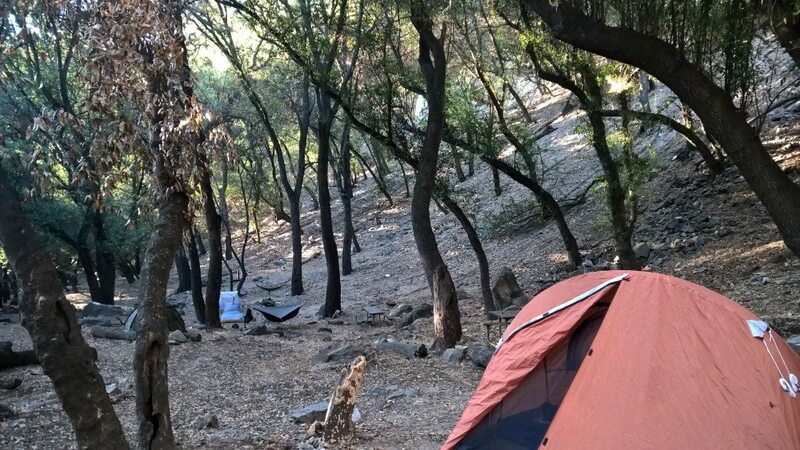 However, sometimes a tent is necessary to remain safe and healthy while hiking overnight. Luckily, the Heimplanet Tent solves all those problems for people out there who are good at hiking but horrible at putting things together. What makes it so easy? Well, this tent pitches itself. It inflates in no time, taking all the hassle and frustration of putting one up yourself. Have you ever wished that the beautiful bird you saw through your binoculars could actually be close enough for you to record it? Now you can. The Sony Digital Recording Binoculars allow users 25x magnification to take a video of whatever you’re able to see through them (or can’t quite see), so you can catch it all and save it to watch later.